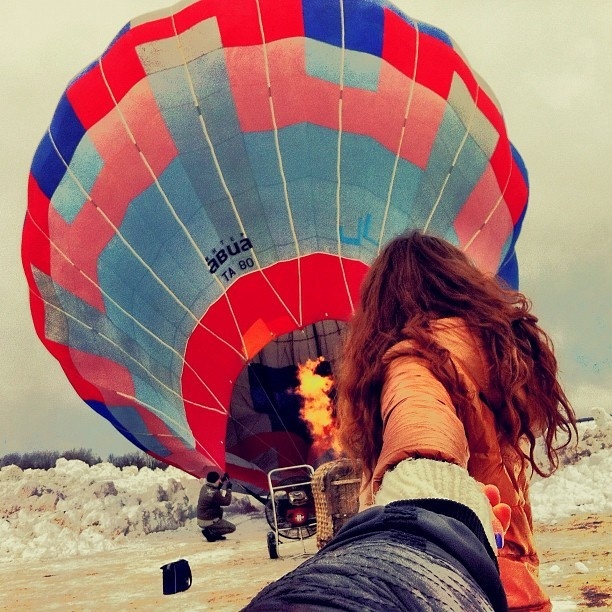 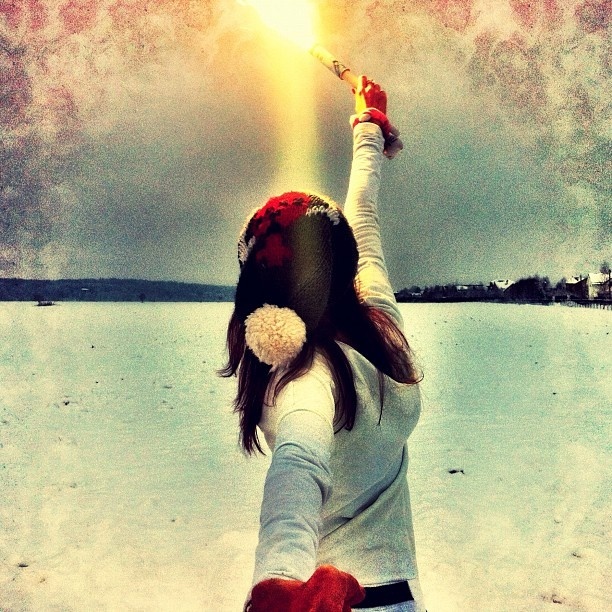 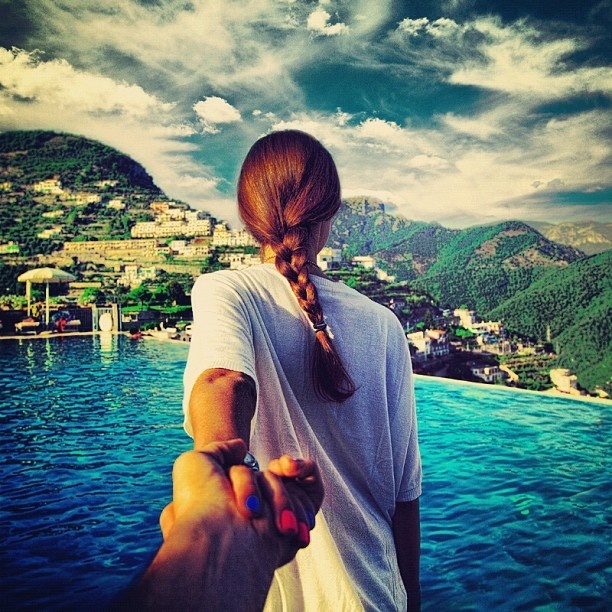 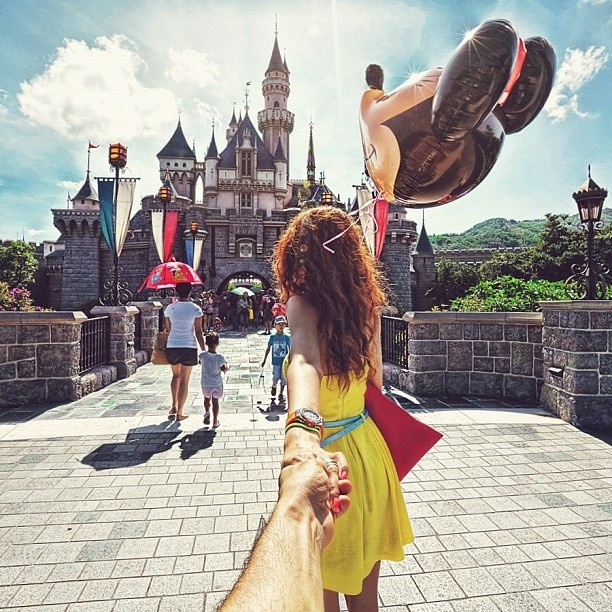 Russian photographer, Murad Osmann has created the most beautiful instagram love letter. 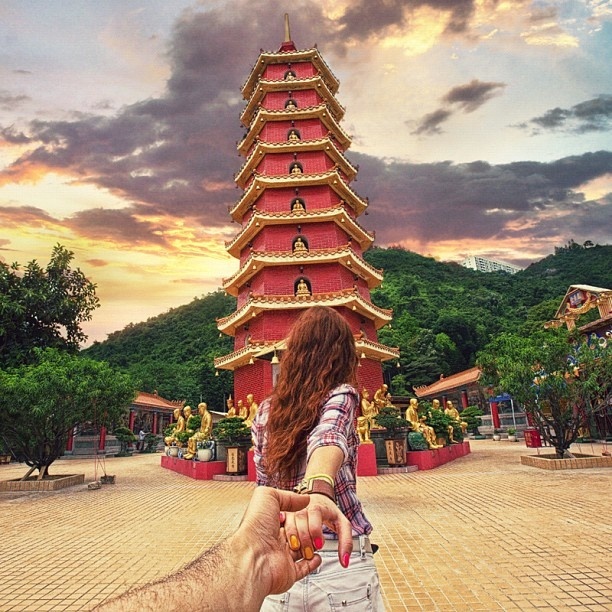 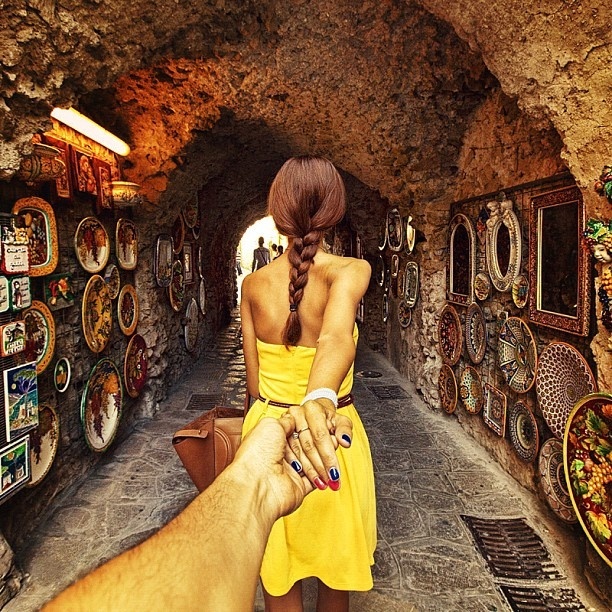 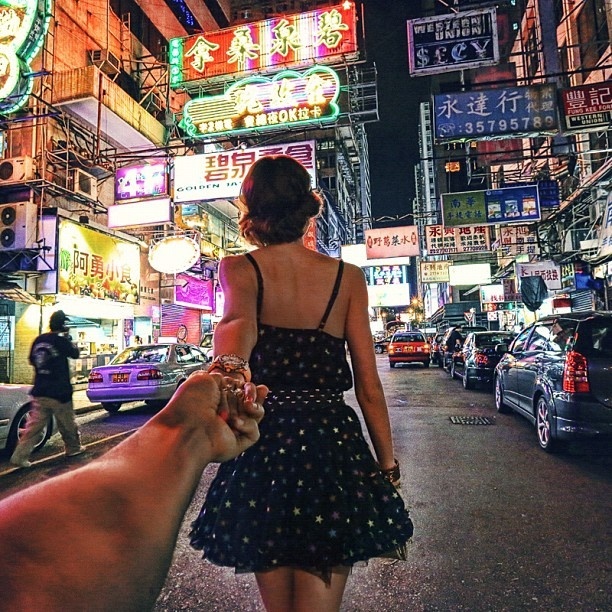 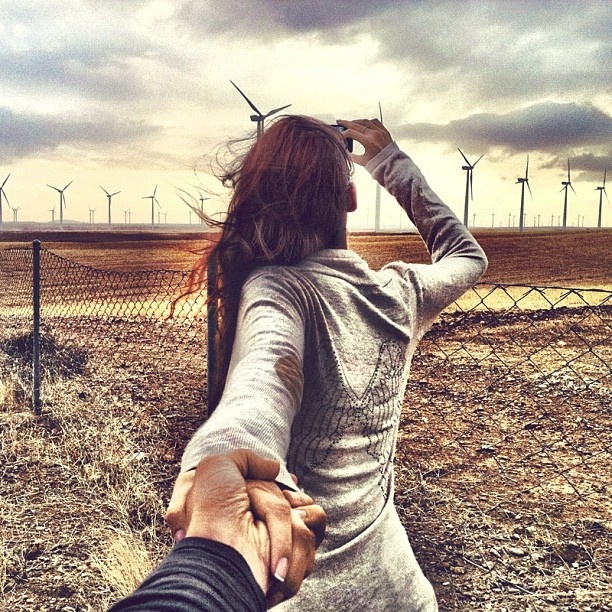 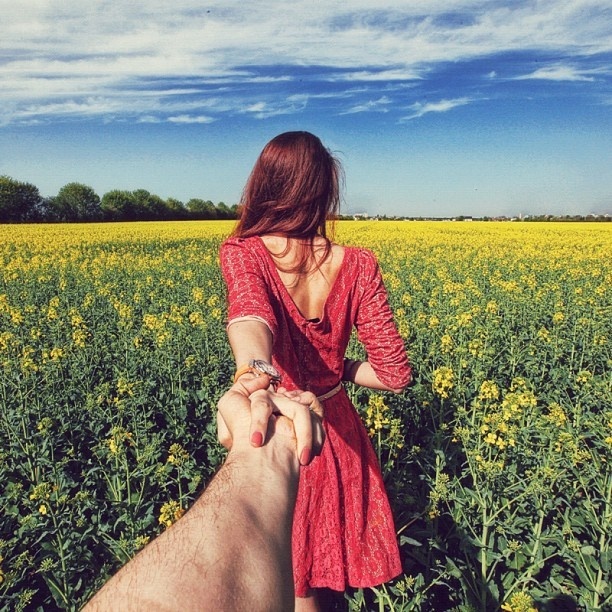 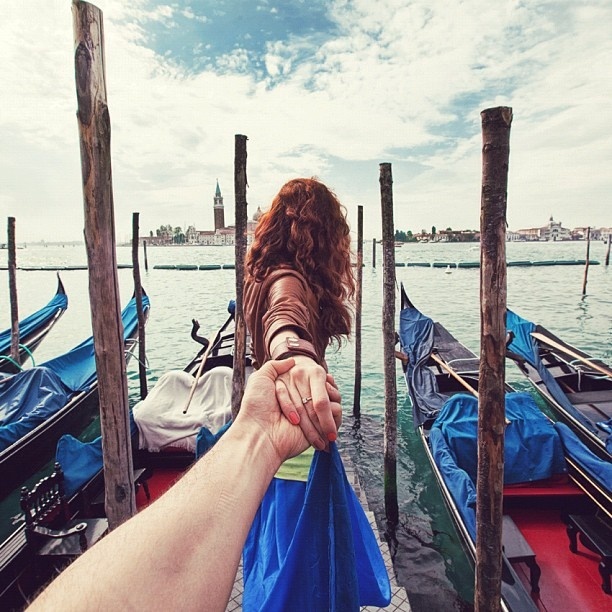 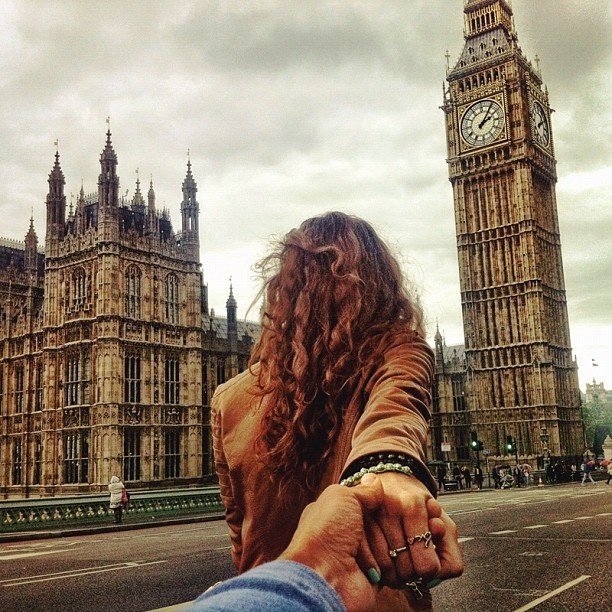 His series, #followme chronicles his travels around the world at the end of his girlfriend's outstretched arm. 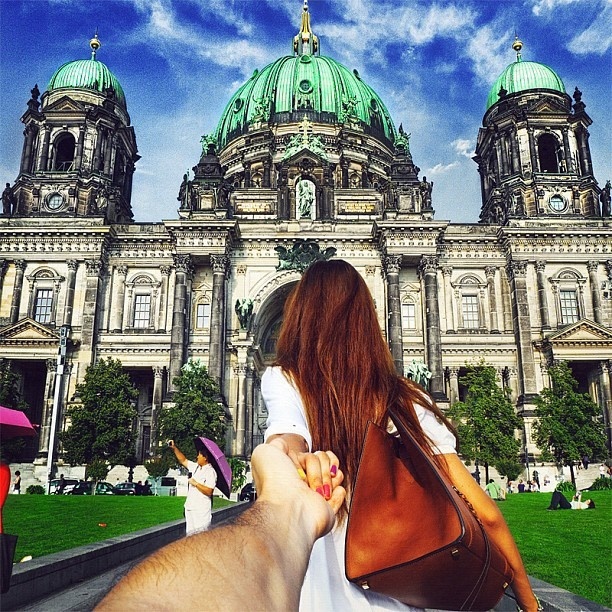 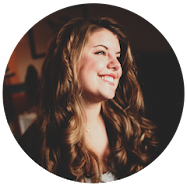 Although we never see her face, we sense her character from her wild auburn waves to her ever-changing nail polish all juxtaposed against the most iconic landmarks and vistas from their globetrotting.